I recently conducted a fantastic wedding for such a perfect couple in the front garden of their home in Dharruk. The weather had been terrible up to the day before the wedding and then the sun shone and the entire ceremony went perfectly. Fortunately the home is in a quiet cul-de-sac so the only sound on the day was of the wedding vows being exchanged and the 50 guests cheering when I announced the couple to be formally and legally married. The very best of luck to the both of you. Awaiting approval to post photograph. There are many advantages of having a simple backyard wedding. With just a few close friends who really care about you and who you really care about, and a celebrant who can write a tailor made ceremony that exactly fits your needs, a stress free wedding can be the result. And the cost is less as well. Call me on 0418 65 45 25 for a chat? 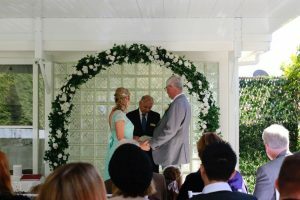 As a Commonwealth registered Marriage Celebrant I can conduct a wedding in your back yard or a friend's backyard and do it at a time of day that suits you best. Late night wedding, early morning wedding or any time of the day and on any day of the week. 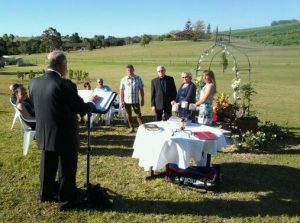 A wonderful wedding in a backyard at Penrith. The couple were in the company of a small number of close friends and relatives. No public address system required as the acoustics were fine for such a gathering. I offer discounted prices on backyard weddings due to the ease and simplicity plus the pure pleasure of marrying a couple at their own home. . 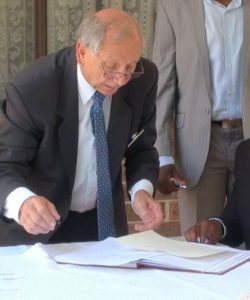 The celebrant is not required to wear a suit either but will unless told not to. The celebrant will also not stick around for the barbie afterwards (but will if his arm is twisted). The following site gives some detailed explanation of what a traditional wedding might cost But with a low cost backyard wedding, you can do so much for your future with the money you save and still make it a memorable day. What better location than the typical Aussie backyard, complete with garden shed, barbie and gum trees. Ask me to quote on the backyard wedding - why not consider the elopement special? Once quoted for a specific location there are no extras - making your budgeting so much simpler. 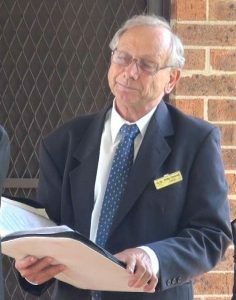 I can also source your official marriage certificate from NSW Office of Births Deaths and Marriages and hand deliver to you after the wedding.